Can you imagine what it would feel like for a fish who gets a hook stuck though its mouth?? Well the other night the fish thought they would get their revenge on our friend Andrew. It was a nice calm night. 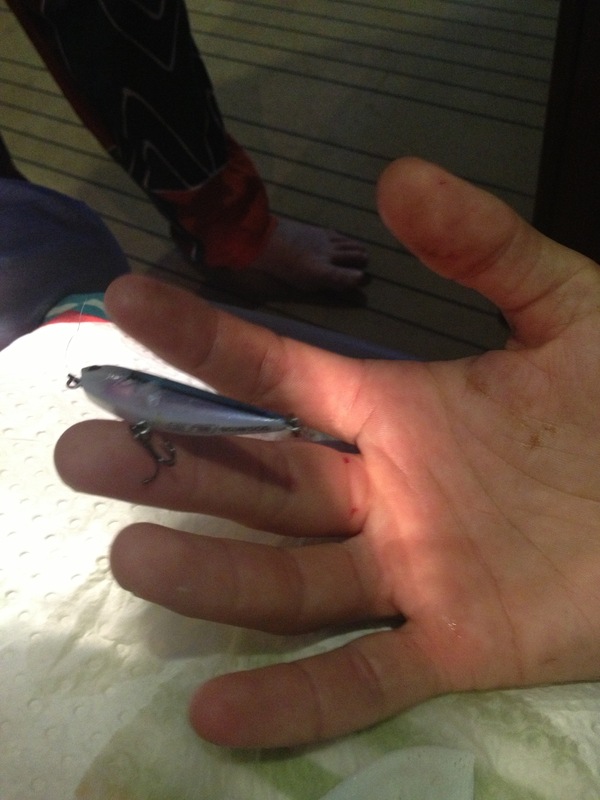 Andrew put out a lure behind the boat in the blue lights. 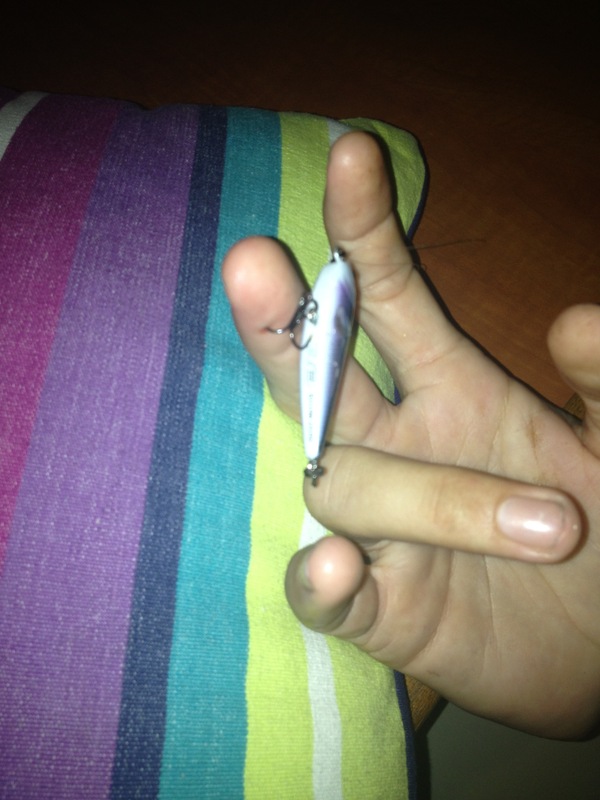 A pike grabbed on and got hooked. There was a bit of cheering and excitement. The fish was not going to have a bar of it. Not a very big fish, but a feisty one. The excitement quickly turned into drama as Andrew’s face turned to pain… And then more pain with each flicker of the fish. Ryan jumped in to hold the fish as still as possible with his strong hands. Ross searched through the tools as quickly as possible to find some wire cutters. We managed to get the hook cut off and lay Andrew down. One thing learned from the other night and our recent trip to Townsville. ALWAYS keep a Doctor on board. 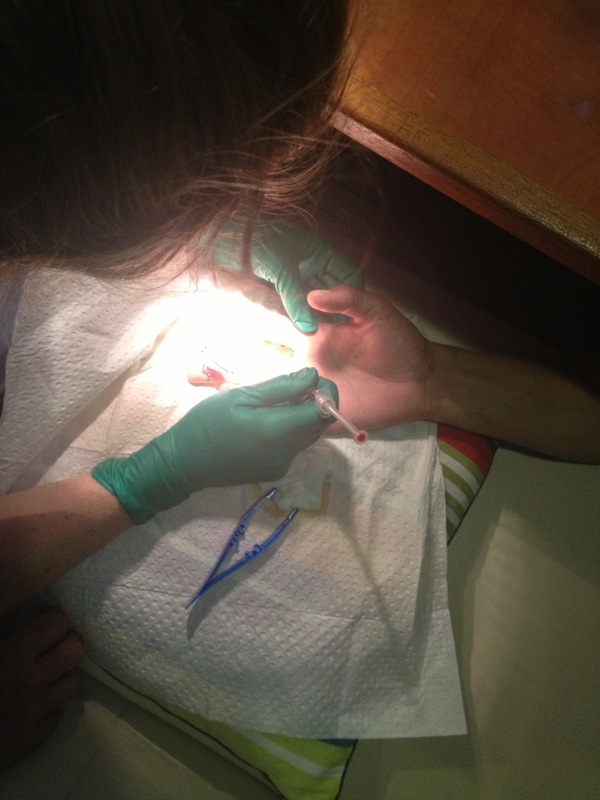 One more thing learned from the other night: when wanting to numb a finger (or toe) you can’t insert the anesthetic near the point you wish to numb. For a finger, the needle must be inserted into two holes at the base of the finger. Who knew? Lucky we had a Doctor and a good first aid box. 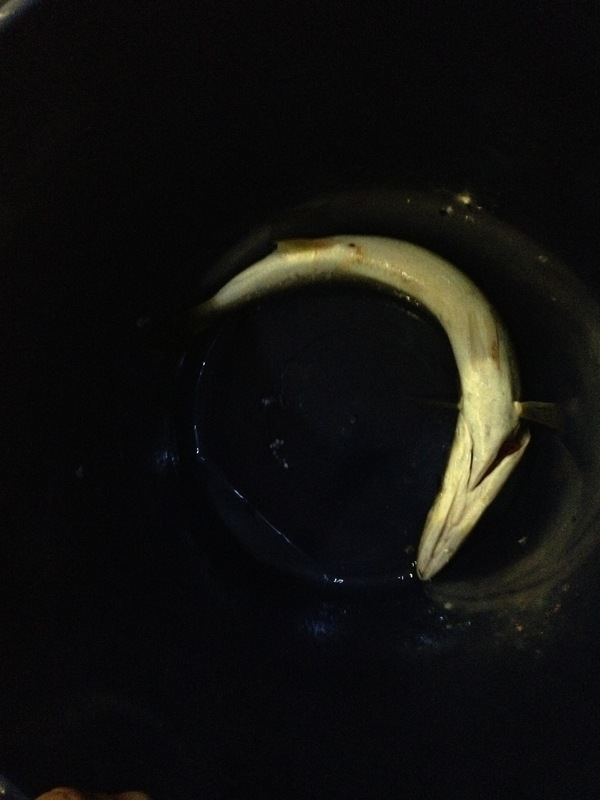 The pike was kept and used as a bait for bigger fish the next day. Unfortunately nothing was caught. 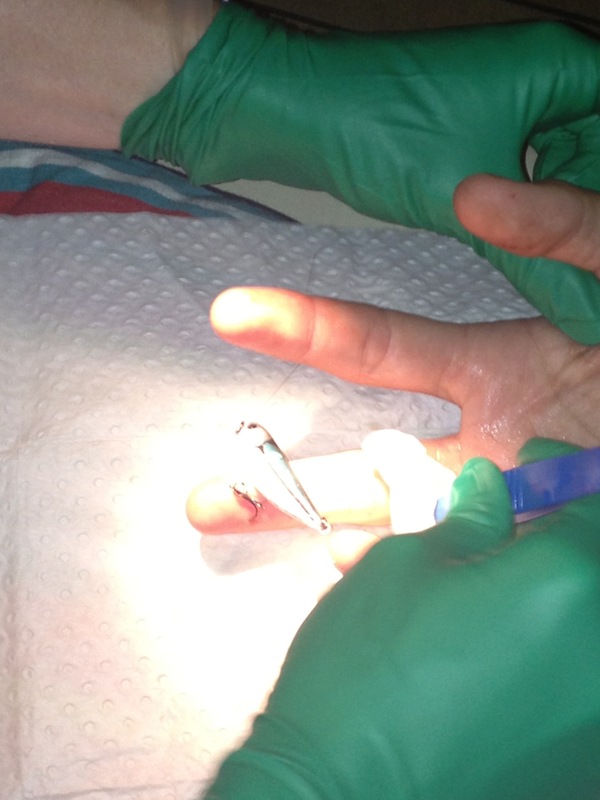 As far as finger injuries are concerned we’ve had 3 good ones all in late 2012. Let 2013 be an injury free one. Let it be one of fabulous births.